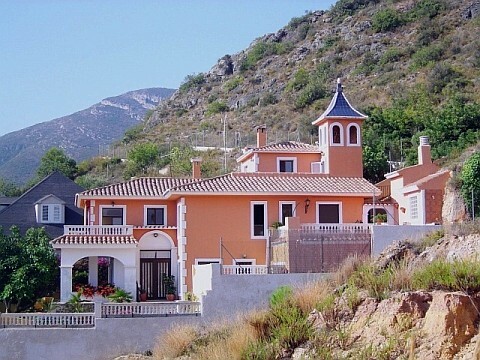 Discover this ideal place to relax and recuperate in Valencia, on the mountainside, near the beaches and orange groves. Our wonderful facilities await you, Jacuzzi, fireplace, gardens and heated pool (nine months/year). Also our special extras services: hearty breakfast, special meals to your required taste, romantic meal for two with your partner, massage, private Pilates classes, beauty treatments, babysitting, guide for walking tours, historic heritage, translator. La Torreta B&B is as comfortable as a charming hotel, cozy as a bed and breakfast and as perfect for fresh air as a countryside retreat in the middle of nowhere. It is set amongst the orange groves, on the side of a mountain, opposite the Valencian coast which is well known for its exceptional climate. The most important thing is the personal service, in a comfortable environment where we hope to make you feel completely at home. Our property offers all the services and facilities necessary to enjoy your stay to the greatest satisfaction, enjoy a family weekend, a time of rest and relaxation, playing sports and outdoor activities, as well as celebrate a romantic evening. Our flexibility and the features of The B&B La Torreta allow us to fully adapt to the needs and expectations of our guests. We have the place, the means and the desire to help, we only need to know your requirements to be able to design you a perfect and unforgettable experience to remember for life. We hope your visit and will be very happy to welcome you!